Anderson's Maple Syrup was an associate sponsor on driver Hermie Sadler's car this past weekend (April 1st, 2012) in the NASCAR Sprint Cup Series Goody's Fast Relief 500 at the Martinsville Speedway in Martinsville, Virginia. After qualifying the #33 Richard Childress Racing Chevrolet in the 41st position, Sadler brought the car home in 31st place. 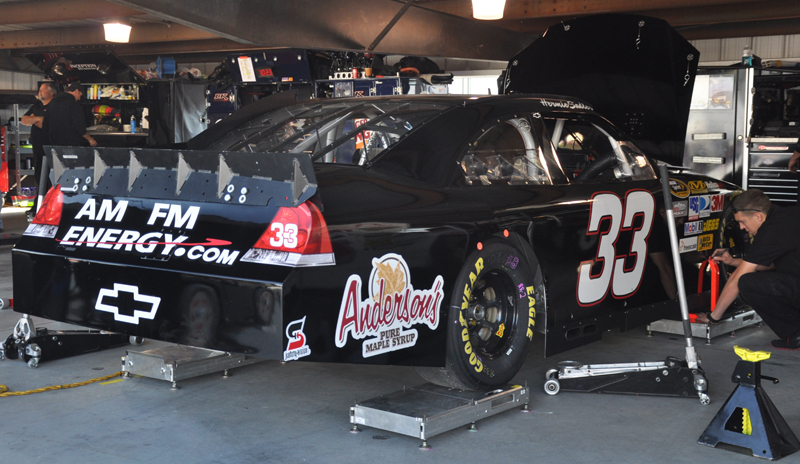 In Saturday's (March 31st, 2012) Camping World truck race, Anderson's Maple Syrup was an associate sponsor on the Joe Denette Motorsports Silverado driven by Ron Hornaday. Hornaday qualified well and started the race from the 5th spot. However, an early race spin as well as mechanical issues relegated Hornaday to a 16th place finish in the race. Click here to view the race recap for Ron Hornaday.